For many years, the most important safety concern facing both public and private schools was fire break-outs and how to appropriately respond to and enact a plan for, protecting teachers and students. But today, in the wake of the number of mass shootings taking place on schools and college campuses all across the nation, school security has shifted its attention to school protection from active shooters. These security and safety concern are changing the focus of school officials and rightfully so. 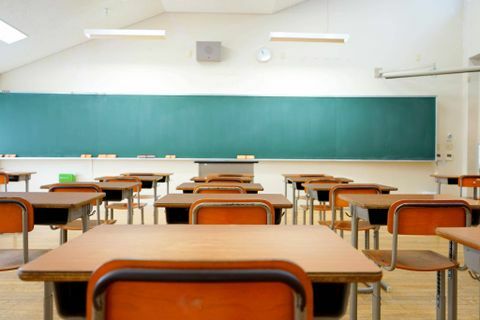 School fire safety, according to the National Fire Protection Association, is still the number one priority facing most educational institutions because of the frequency of fires that take place each year. The chances of a student being injured by smoke or fire is much higher than the chance an active shooter will kill, maim or harm a fellow student according to fire officials. But the consequences of the actions of a gunman are much more significant in most cases than fire breakout and potential smoke inhalation. Safety and security plans are in fact similar for both occurrences and schools are now adopting policies and procedures that are an essential component for protecting teachers and students. How to Prepare Your School for a Fire or Active Shooter Event. There are many ingredients that go into an effective security plan to help protect teachers and students from a fire break-out or an active shooter. According to Harvey Hudgins, President of ESI, Emergency Systems Inc. a security alarm provider for business, schools, industry, and homes. “Protecting student from any harm begins with two essential components; a well thought out and exercised escape plan and a security system that will detect the early warning signs of danger and help emergency personnel to respond appropriately”. One of the most efficient security devices most educational institutions are enacting are CCTV and surveillance cameras monitored by trained personnel. Today, most schools are hiring armed personnel to discourage and respond immediately at the first signs of danger. Jacksonville charter schools have a guardian program that they train through the JSO to assist with any active shooter scenarios. Schools might even want to consider installing an alarm similar to a fire alarm, that, when activated will advise officials of a life-threatening event or intruder. According to safety consultants, the best form of protection still rests with knowing where the exits are and having a well thought out plan on how to respond when confronted with a life-threatening situation. Three words…. Run, Hide, Fight. Schools today are preparing students and staff members on how to respond to a life-threatening event. Fire drills were always considered to be an essential part of fire protection safety in schools. Regular fire drills trained students and staff members on how to evacuate the premises safely and effectively and where to go once the building has been evacuated. Repetitive drills enabled participants to understand the appropriate response to an actual fire. These same types of educational procedures need to be enacted for students and staff members to respond to any emergency, fire, active shooter or any danger that could take place. Constant awareness, an advised course of action in the event of a danger, an accessible plan of escape, and school-wide participation are the ingredients to a successful plan that has the best chances for success. Why Consider ESI for all Your Security Needs? ESI, Emergency Systems Inc. is a leader in the design, installation, repair and monitoring of security apparatus and products for almost 40 years. Service is the number one component to a successful security shield and no one does it better than ESI. Give them a call at 904-388-3975 for a completely free and thorough examination of your security requirements and needs.